Susie Glaze & the Hilonesome Band’s upcoming offering Not That Kind of Girl is reportedly more musically diverse than their earlier albums. The twelve-track disc is a musical mix of genres including Appalachian roots music, newgrass, folk, country, blues and more. It includes a healthy dose of original compositions and cover cuts. Glaze, of course, leads the way on lead vocals. 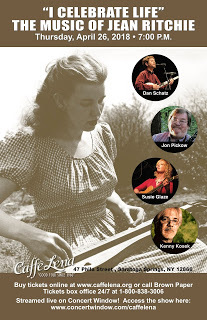 She is backed by songwriter Rob Carlson (lead guitar and vocals), Steve Rankin (mandolin, bouzouki and vocals), Mark Indictor (fiddle and vocals) .and Fred Sanders (bass and vocals). The album opens on “Independence”. It’s an interesting instrumental but reveals little of the band’s true capabilities. It does give the boys a few minutes to show off before the lovely Glaze enters and steals the show though. They move right into the titular track “Not That Kind Of Girl”. It’s an upbeat song that is highlighted by harmony vocals by Carlson and producer Herb Pedersen. “Heartland” is the first number not written by Carlson. 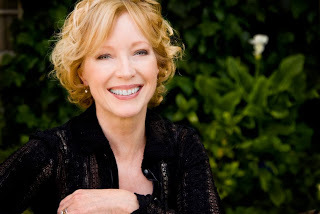 It’s a nice American ballad written by Denise Hagan. It’s followed by “Millionaire” which is an adaptation of David Olney’s compelling country composition. This one includes vocals by Rankin, Glaze and Sanders. While the subject itself, greed, is unsurprising the band owns the song. Sanders steps to the front singing lead on the Henry Hipkens hit “That’s How I Learned To Sing The Blues”. It is quickly followed by “The Mountain” which Carlson has written to sund almost traditional. It’s a roots music song about mountain-top mining for coal featuring Pedersen on banjo. “Don’t Resist Me” is one of the best songs here for those who enjoy darkly humorous song satires. It serves as a nice foil to the previous piece. The country ballad “This Old House” comes next with Carlson on lead vocals and Glaze singing harmony. “Dens Of Yarrow” is an early favorite of the critics. It is a Scottish border ballad about love and death. It’s stripped down with Glaze sometimes singing a cappella. Skip Edwards makes it unique with his accordion. “Prisoner In Disguise” is a noteworthy version of the J.D. Souther’s song made most famous by Linda Ronstadt. Chris Hillman guests on the mandolin and Pedersen fills it out on lead guitar and harmony vocals. Things start to wind down with a cover of Ernest Troost’s love song “The Last To Leave” which Glaze makes her own. The album end-note is Carlson’s rhythm-filled finish “Never Give Up” which includes guest percussionist Joe Craven. Watch for Susie Glaze & the Hilonesome Band’s new CD Not That Kind of Girl when it hits stores this June. You might be surprised to hear how Glaze pushes the band’s musical boundaries here. Sure, she could have stuck with material nearly identical to that on her three previous platters but, well, she’s just “Not That Kind of Girl”. NORMAN, Okla. — All the way from L.A., Susie Glaze & the Hilonesome Band’s Not That Kind of Girl feels right at home in Oklahoma’s music scene. Being released June 2015, this Newgrass Americana Folk Fusion project pushes the band’s boundaries and gives listeners a diverse mix of music. The 12-track album has a big Celtic vibe but also touches of blues, jazz, old country, and bluegrass throughout. It starts off with an instrumental piece, “Independence” that makes you wish you were in Ireland with a pint in your hand looking out over the countryside. My favorite part about the album was the composition and collaboration of the different instruments. The music is intricate, but comes off natural and beautiful. A combination of hand-picked covers and powerful originals, the album has a nice flow and makes for a good listen- it keeps the listener intrigued and on their toes. Vocals vary from track to track, but Susie Glaze is the main vocalist. Her voice is high, sounding very Celtic and old-time country (think Dolly Parton or Jean Ritchie). The other four band members lend their vocals on different songs, with the fiddle player being the only without a lead vocal role. This close-knit group of musicians works together to support one another. While the band is called Susie Glaze & the Hilonesome Band, this doesn’t come across as being one star with a back-up band- they are a team. Lyrics range from traditional Irish ballads to light-hearted humor to sassy female-lead stories. The band prides itself on the strength of their songwriting and ability to convey a feeling through their stories in song. As a whole, there is something very old about this album. It evokes nostalgia while still remaining relevant to today’s music listeners. I like old, and I like Celtic music, and found both in this album. You can get more information and hear the album on the bands webpage https://susieglaze.com . After three critically acclaimed CDs in the past 5 years, it is not surprising that Susie Glaze & The Hilonesome Band have created yet another memorable album. But Not That Kind of Girl is more than just “another.” It is, I believe, their best album yet…in part because this group keeps pushing their own boundaries…challenging themselves in terms of musical diversity, original songs and fresh interpretations. Not That Kind of Girl is a potpourri of folk and Americana delights. 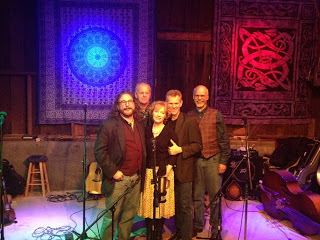 While retaining their trademark Appalachian roots and Newgrass sound, Glaze and her band have expanded their repertoire to include songs that range from traditional to contemporary folk; from old-timey to country; from tender ballads to light-hearted humor. There’s even a bit of blues; some Caribbean rhythm; and a tribute song to Linda Ronstadt. And all these styles work perfectly together. Half the songs are originals – the work of Hilonesome songwriter, Rob Carlson – and much of the diversity can be credited to his eclectic creativity. But what makes them flow so effortlessly together is the creative energy of the band itself and the amazing voice of Susie Glaze…a voice that can be simultaneously powerful yet playful and beautifully nuanced. 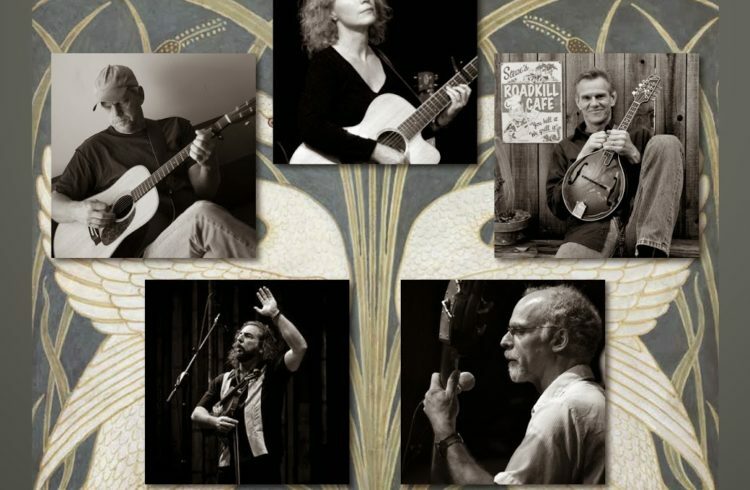 Accompanying this one-of-a-kind voice are the virtuoso talents of Rob Carlson on lead guitar and vocals…Steve Rankin on mandolin, bouzouki and vocals…Mark Indictor on fiddle and vocals…and Fred Sanders on bass and vocals. 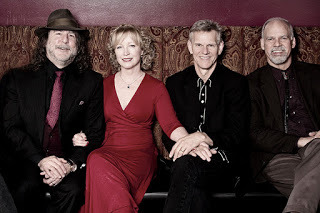 In addition, guest artists include the album’s producer, bluegrass icon Herb Pedersen, on banjo, lead and resonator guitar, and harmony vocals; Chris Hillman on mandolin; and Joe Craven on percussion. The album opens with a stirring, spirited instrumental by Carlson called Independence – providing an exciting showcase for the soaring fiddle of Mark Indictor and the dancing mandolin of Steve Rankin. That is followed by another Carlson original, Not That Kind of Girl, an old-time, good-time sounds-like-a-classic number with Glaze at her all-time best, playfully tripping over the light-hearted lyrics. It’s such a fun, upbeat song – a true delight – enhanced by harmony vocals by Pedersen and Carlson. Heartland, written by Denise Hagan, is a touching ballad of hard times and longing for home, illustrating yet another facet of Glaze’s sparkling delivery. Then the pace picks up again with David Olney’s compelling country song, Millionaire – a timeless and timely tale of greed and ruthlessness – sung by Steve Rankin, with Glaze and Sanders adding satisfying harmony. Fred Sanders then takes the vocal lead on Henry Hipkens’ That’s How I learned to Sing the Blues, as Rankin’s mandolin and Indictor’s fiddle impart an old-time swing sound to this retro-styled number. One of my personal favorites on the album is The Mountain, a gorgeous “neo-traditional” by Carlson about the crime of mountain-top mining for coal. With Glaze singing lines like, “God made the mountain, only God should tear it down,” with passion and clarity, this is roots music at its best…further underscored by Herb Pedersen’s 5-string banjo. Among other standout tracks for me was Dens of Yarrow, a haunting Scottish border ballad of love and death. Glaze captures the sad simplicity of this song with minimal accompaniment –– sometimes singing a cappella. The droning of an accordion (Skip Edwards) and a solemn fiddle recall the mournful sound of bagpipes, while Glaze’s vocal clarity and control lend authenticity and dignity to the narrator’s sorrow. The album is filled with this kind of variety – a light-hearted spoof of old-timey songs, Don’t Resist Me…a country ballad, This Old House….a cover of Ernest Troost’s poignant love song, Last to Leave….and Carlson’s inspiring, rhythm-packed finale, Never Give Up, featuring percussion by Joe Craven. And, of course, there is the very special tribute song mentioned earlier: a beautiful rendition of John David Souther’s Prisoner in Disguise, which was made famous by Linda Ronstadt. This track features the touching mandolin of Chris Hillman, as well as lead guitar and harmony vocals by Herb Pedersen. In all, this album is an ambitious project – polished to perfection. Susie Glaze could have simply chosen to stick with a more traditional set list. But then, as we all know, she’s not that kind of girl. From the influence of Celtic folk, to the haunting echoes of the ageless voices from our Blue Ridge Mountain kin through the honky-tonk shadows of dusty West Texas taverns, Susie Glaze and the Hilonesome Band’s new album Not That Kind of Girl, produced by Herb Pedersen of Desert Rose and Dillards fame, have gathered stories in song that weave a timeless tapestry of the durability of the American spirit through the power of song. This album confirms the band’s passion for the American root traditions as they forge ahead innovating their way through song craft with instrumental skill and soaring vocal distinction provided by Susie Glaze and Steve Rankin who also excels on mandolin. No small credit, however, goes to Mark Indictor whose fiddle work streaks sonic lightening through the songs, lead guitarist and primary songwriter, Rob Carlson and Fred Sanders on sturdy and dynamic stand-up bass. In the truest sense, they are a great band. 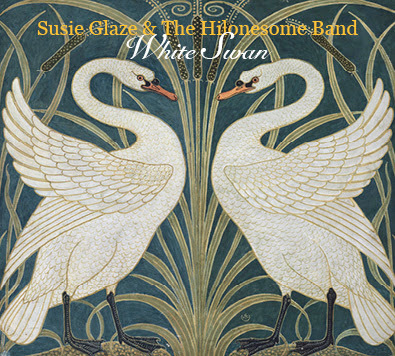 While Susie Glaze and Hilonesome have set out from their beginnings to stake out a legacy that reaches beyond genre limitations while honoring past musical traditions in a way that is timeless over nostalgic, this album succeeds in ways beyond the usual expectations often set in Americana music. That is, there is a resonate authenticity and unique dynamic to the proceedings that is a joy to experience. The opening song, “Independence” written by lead guitarist Rob Carlson, sets the pace for the celebration and soulful blend of an Irish jig with Kentucky mountain music. The title track, “Not That Kind of Girl,” is another Carlson tune. It calls to mind where the journey of early honky-tonk music began with bluegrass instruments and a downhome character-driven vocal by Susie Glaze. 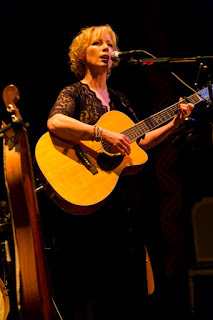 Belfast sacred singer songwriter Denise Hagan’s “Heartland, “is a stirring and beautifully realized performance of this song about hardship and grace. Covering this obscure song from Ireland is stroke of brilliance giving Tennessee native Glaze a chance to bring to the American heartland the universal theme of Hagan’s song. “The Mountain,” another original song by Rob Carlson, is a near instant classic which resonates with a driving rhythm and searing fiddle accompaniment by Mark Indictor and a passionate vocal by Susie Glaze which gives life to this lyrical story of turmoil and loss in heartland mountains. There is humor to spare on songs like “Don’t Resist Me,” with a new twist on star-stalking and romance. The song bounces us along with a happy-go-lucky honky-tonk arrangement that is both disarming and alarming-even managing to weave “I’m in the Mood for Love,” into the arrangement. Carlson’s “This Old House,” keeps the bluegrass kinship alive with a fresh take on the bittersweet memories of an old home gone but still achingly real. 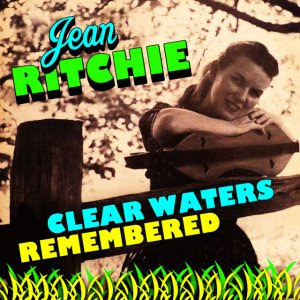 The traditional stream flows through hauntingly on a Grammy worthy vocal by Susie Glaze and a spare accompaniment by Mark Indictor on fiddle and Skip Edwards on a beautifully rendered accordion on “Dens of Yarrow.” A sweet homage is given to Linda Ronstadt on a gentle interpretation of J.D. Souther’s “Prisoner in Disguise,” featuring Chris Hillman on mandolin with Herb Pedersen on harmony vocal and resonator/lead acoustic guitar. L.A. singer-songwriter Ernest Troost’s “Last to Leave” is an eloquently rendered bluegrass torch song. “Never Give Up,” completes the collection with a dynamic song which comes as close as bluegrass will ever come to rock & roll energy. A clearly inspired gospel finish, it is a danceable song of perseverance that fulfills the sweet optimism and joy which underlies this entire album. Not That Kind of Girl, is a vibrant and energetic an album which serves to challenge the common assumptions about how traditional music can be created with a contemporary feel. It is not so much a fusion as a transfusion of tradition with fresh new vibrant blood. With a skill, expertise and authority that is uncommon even in a genre where these qualities are expected, Susie Glaze and the Hilonesome Band have broken new ground in the growing legacy of Americana music. Not That Kind of Girl has a place, not only in the fabric of the best of contemporary Americana music, but in the years to come, as a classic example of music’s ability to draw from the deepest part of our common American soul to inspire and root us in our heritage. Susie Glaze and the Hilonesome Band will be appearing at McCabe's Guitar Shop in Santa Monica, California on Arpil 19 at 8:00 PM. "Cooking up one helluva Americana/Celtic gumbo this is a killer roots album that sets a new standard for the whole genre. A superstar in waiting, Glaze accepts the challenge to bring it and does an undisputed job of same. This is the kind of set that brings new fans into the tent. Killer stuff."